If something doesn't work, the best thing to do is to blow it up and re-build it. With that in mind, the Financial Times is reporting that Nokia is looking to change its marketing tactics with the launch of its first Windows Phone 8 smartphone. The new plan is to enter into a partnership to offer a new smartphone on the network of just one or two European carriers. The financial newspaper says that Nokia has had secret negotiations with a number of carriers including France Telecom, but no deal has been agreed to at this time. Another carrier that could get involved is Deutsche Telekom. Nokia's current marketing strategy calls for the Finnish based handset manufacturer to flood all distribution channels with phones, getting them into as many hands as possible. The new plan calls for entering into agreements with a carrier or two that would support Nokia's models. Initially, Nokia would reach a deal with no more than one or two networks in Europe, and will offer the operators a financial stake in the success of the phone. That move is expected to give the carriers an incentive to push the new model and promote it heavily. Nokia used this strategy with the flagship Nokia Lumia 900 model in the U.S. with AT&T and was happy with the results even though only 330,000 units of the Lumia line were sold in the States. That figure included sales of the Nokia Lumia 710, sold exclusively in the U.S. by T-Mobile. Those familiar with the plan say the idea is to recreate the excitement that took place prior to the exclusive launch of the OG Apple iPhone in 2007. For example, in the States the original Apple iPhone model was exclusive to AT&T which some say led to the heightened demand for the model. Strategy A- Fire Elop strategy B- Wind up. Best of luck Nokia... Better do something than nothing!. Nice tought. If it never been Elop, then it would never be. Heheheh. Nokia under Elop use the same tactics as their masters from Redmond: fooling the users. Look at Lumia 900: this was an outdated handset from the start but was marketed as a premium 1, they even put it on show at Times square while it has single core, low res, thick and heavy design. And Elop said the sales was "encouraging"? That was blatant lying to say the least. No, it just still use old fashioned market strategy. Yesterday, when we buy a premium phone, the number one and the best at its price & feature phone, we never care about if it gets any update or never. We don't even care about the "ecosystem" the apps and the games available in its ecosystem. We just proud to use the phone that has Great Camera, Great Speaker, Great internet speed, WiFi and GPS, but didn't care about application that supports its capability. Now on, phone had "evoluted" like a "mini PC". It is has OS and specs that can or cannot update. So Nokia has wrong strategy on the marketing, since they marketed Lumia as how premium phone marketed yesterday: Only give us feature but no future. Now on, it is user who decide if he wants to get a standard/low phone (latest OS but minor OS update or never at all) for cheapest, mid-end phone (latest OS with major OS update but minor OS Upgrade) for average bucks or premium phone (major OS update and major OS Upgrade) for whole lot of bucks. Thats just IMHO. VZW shoud just bail on WP and not bother offering any WP handsets. It is amateur hour at MS and Nokia. VZW needs to focus their energy where they are already making coin - Android and iOS. Meocao do you ever test phones out before jumping on the band wagon talking down on a phone. I've had Andriod then switched to the iPhone because it's simple and to this day never had an iPhone to freeze up on me. 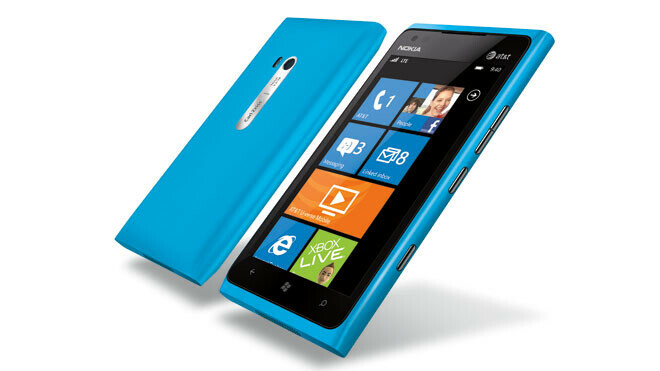 I'm in love with the windows phone brand and it's not outdated. It has a little catching up in market place but for its major first go round it's pretty nice for a "single core" phone. With a few tweaks and more apps it's by choice the best platform out. Shubham412302 you have got wrong info its lumia 610 and if you you are damn sure then i give you 12000/- buy me one lumia 800 and 12k becomes 200$ not 100$!!! nokia... a lot of people dont really like the whole Microsoft Partnership... you'll just loose many tech fans and market!!! why are you so eager to kill symbian as early as now.. i thought you're giving it life until 2016??? just please... put the symbian platform on the low end market.... symbian is better than S40!! and people are more familiar with symbian than windows phone! i guess there is no stopping on your flopping and falling and failing now... i dont know if i could still call myself an avid nokia fan! :( stop this now... i love symbian forever.... gonna repost this! i hope they could make a huge comeback, not hating on elop but i want him fired! if i were nokia CEO i am going to support the symbian OS forever... we need to have a back up OS or at least make it as the OS for low end market... not the new s40 thingy... they could make s40 for super low end market... on the bar phones and touch and type phones at price $80/$75 and below phones and symbian as the OS for $150 - $95 phones!!! and make the WP as the OS for midrange and high end.. and make the new linux OS(if ever they are REALLY making one, from the smarterphone team) as the back up for windows phone! and the OS for all level too! $130 and above phones! Looks like tmo's gona be shut out again on a high end Nokia wp8. I really don't think they need to do that. Hasn't anyone noticed how heavily T-Mobile USA is marketing the Samsung GS3 despite the fact that it's on several carriers? 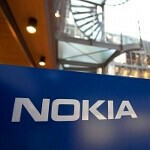 Nokia could also independently run marketing campaigns to complement what the carriers do. But however Nokia approaches phone distribution, they need to set up an online store in at least their largest markets (such as North America and Europe) where they have all of their phones available unlocked and SIM-free, so we can use any Nokia phone with any carrier (especially prepaid carriers) as long as we're willing to pay the full retail price. It doesn't take a genius to understand Nokia's problems cannot be resolved through marketing alone. Nokia has already spent hundreds of millions of dollars marketing Windows Phone only for it to be an utter flop (especially outside of the States). Get rid of Elop, this man is a walking disaster since his appointment as Nokia CEO. If nokia wants a shot to compete than they must capitalize on time, there next phone must be some sort of lumia device with pureview technology, if they wait till the spring it would be to late, other manufactures will catch up and the buzz will be gone.
" flood all distribution channels with phones " - So offering a entry phone at Tmobile, none at Verizon or Sprint.. and the rest at AT&T.. is "FLOODING" all distribution channels.. ??? AM I MISSING SOMETHING HERE ...?